Professional Adviser's sister title Investment Week pulls together the key points of what has proved a relatively quiet Spring Statement from chancellor of the Exchequer Philip Hammond. Chancellor Philip Hammond said it is"vital that the UK remains an open and competitive place to do business". As such, he announced that following a consultation later this year the Government will legislate to ensure that the UK can"maintain world-leading financial services regulatory standards" following Brexit, to"remain open to international markets and realise new trading opportunities". Before the summer, the Government will set out its approach to consulting on how to ensure the financial services regulatory framework adapts to a new constitutional position outside the EU. "This includes the need to ensure financial stability is delivered through an effective regulatory framework, with the responsiveness necessary for a dynamic and open financial services sector and an appropriate level of democratic accountability." A new global review was announced, to be led by Professor Sir Partha Dasgupta, to assess the economic value of biodiversity and to identify the actions that will simultaneously enhance biodiversity and deliver economic prosperity. The review will report in 2020, ahead of the 15th meeting of the Conference of the Parties to the Convention on Biodiversity in Beijing in October that year. Later this year the Government will publish the first National Infrastructure Strategy, responding to the National Infrastructure Commission's (NIC) National Infrastructure Assessment. The strategy will set out how to embrace new technologies, decarbonise the economy and create infrastructure fit for the 21st Century. When the UK leaves the European Union it will also leave the European Investment Bank, a long-term investor in UK infrastructure. The role of the private sector is therefore increasingly important and the Government hopes to encourage further private investment in infrastructure; of the projected £600bn infrastructure investment pipeline for the next ten years, half is forecast to come from the private sector. This review will inform both the 2019 Spending Review and the National Infrastructure Strategy. The consultation will close on 5 June 2019. UK gross domestic product (GDP) is set to grow by 1.2% in 2019, less than the 1.3% forecast in the 2018 Autumn Budget, but the economy will expand over the each of the next five years. The UK economy is set to grow by 1.4% in 2020 and by 1.6% in the following three years, according to the Office for Budget Responsibility (OBR), although this year's growth forecast was reduced to 1.2%. However, the OBR report noted that the government's"stated ‘fiscal objective' is to balance the budget by 2025-26" but its past forecast performance suggests"it now has a 40%" chance of doing so by the end of our forecast in 2023-24. Despite Brexit uncertainty and the potentially damaging prospects of a no-deal Brexit dominating the Spring Statement, Hammond introduced his concept of a 'deal dividend', which he described as the UK's increase in wealth in the event of an orderly exit from the EU, given that business confidence and consumer spending would increase, while Brexit-related unemployment would be minimised. The final report of the Digital Competition Expert Panel was published making recommendations for changes to the UK's competition framework that are needed to face the economic challenges posed by digital markets, in the UK and internationally. The panel recommended the establishment of a digital markets unit to support greater competition and consumer choice in digital markets that could develop a code of competitive conduct; enable greater personal data mobility and systems with open standards and advance data openness. The Competition and Markets Authority (CMA) announced that, subject to an orderly exit from the EU and therefore resources, it will carry out a review to assess how regulation affects competition in the UK business environment. In terms of access to finance following Brexit, the Government said it"stands ready to deliver its commitment in all circumstances to provide additional funding to the British Business Bank for venture and growth capital, as we leave the European Union and our relationship with the European Investment Fund changes". 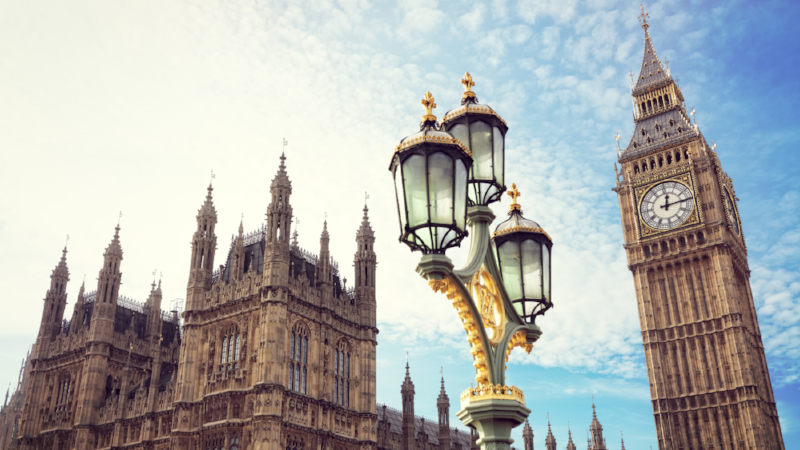 Following the recommendations made both to the Government and the UK Statistics Authority (UKSA) in the report on the Retail Prices Index (RPI) by the House of Lords Economic Affairs Committee, the Government is considering the complex issues raised. The Government is discussing the relevant issues with the UKSA and will respond to the Committee's report in April. RPI, which has proved contentious in recent years, is used in many private sector pension plans. The Government has published a policy paper setting out the government's achievements in tackling tax avoidance, evasion and other forms of non-compliance, as well as a policy paper setting out the direction for HMRC's updated strategy for offshore tax compliance, Offshore tax compliance strategy: No Safe Havens 2019. This article was written by Beth Brealey from Professional Adviser and was legally licensed through the NewsCred publisher network. Please direct all licensing questions to legal@newscred.com.